NovaInk is a silk screen printing company that makes custom T-shirts for business organizations, everyday wear, athletic wear, and more. At NovaInk we are an innovative screen printing company that has optimized a variety of screen printing techniques to create custom t-shirts at an unsurpassed value. This approach has progressed into an ongoing reputation for excellence and enhanced our innovations as a growing business un the screen printing industry. NovaInk has optimized the clothing printing process by developing our experience and skills in the clothing printing industry. We can print on t-shirts, outerwear, headwear, sportswear, ladys, mens, and childrens apparel, sweaters, golf shirts, athletic apparel, fleecewear, bags, totes, uniforms, and more. NovaInk can embroider your logo on a variety of clothing materials including garments, bags, towels, hats, blankets, and more. Choose from any of our national name brand products or bring in your own items that you want to embroider. We are logo embroidery experts with (extensive) experience and knowledge, in which we have promoted our professionalism. 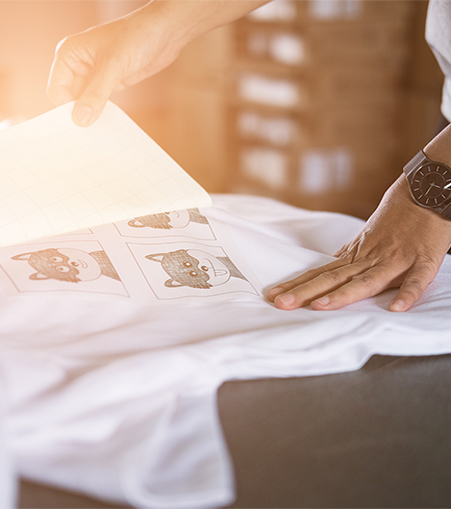 NovaInk can provide various custom t-shirt products and silk screen printing services.Our custom t-shirts are professionally designed to exceed expectations and fulfill a variety of styles, designs, and tastes. From conceptualization to application, the t-shirt screen printing services provided by NovaInk captures the craftsmanship and artistry required for a high quality silk screen print. With a variety of t-shirt screen printing options at NovaInk, each color and style that we offer provides a bold and vibrant (taste) to your t-shirt. Our efficient t-shirt screen printing skills and experience makes NovaInk the unique t-shirt printing company to choose. NovaInk can provide exceptional banner advertisements for your company. If you are looking to promote your brand and seek to increase your viewing audience, banner advertisements can be an effective route to take to pursue your business goals. At NovaInk, we can create an image-based promotion that attracts visitors to your brand. Custom promotional printing is focused on designing, promoting, and / or improving your brand. NovaInk can assist you in promoting your logo or brand by providing various services to further refine and succeed in achieving your business goals. The banner advertising services we provide assist in producing an engaging and efficient promotional printing design to impress your customers. "Had Nike shirts in stock and turned around a last minute custom embroidery order in less than 24 hours without a hitch. Aly was very responsive and great to work with. Thanks for everything!" "NovaInk did a great job with the 100 beanie hats I ordered. They were done exactly when I asked them to and the quality was great. I will keep using them. Mostly because I trust their work! Jason"
"Good service, quick, and especially high-quality in the product. They send us pictures of the production while they where working on it, when we see the final product we love it." "In a super time crunch for the holidays, NovaInk helped us out with our employee gifts. Easy to work with, and great quality. Thanks guys!!" We are experienced with high quality customer designed graphics and a master of digital and traditional printing. We can help you give your business or project the exposure boost. Accept the order and begin the artwork prep. Production of the high quality product prints. Final review of the order and prep for shipping. Delivery of the final product for you event. NoveInk is proud to offer a 30-day 100% Money Back Guarantee related to our silkscreen t-shirt process. We are devoted to providing high-quality customized t-shirts, banners and other printing needs. We can deliver to your door in the state of Utah without any cost to you. We take pride in being able to deliver professional silk screen t-shirt for free anywhere in the state. NovaInk is pleased to have no hidden fees in our custom t-shirts, which demonstrates our reliability and depnedenfability. We do not charge any quote fees or set up fees on orders placed with our silk screen printing company.